PRESIDENT Lungu says his administration will not tolerate un-warranted attacks on the judiciary that seek to undermine the important arm of Government. And the President has reiterated Government’s commitment to moving forward with the constitution review process as outlined in the road map released. Mr Lungu is concerned that the judiciary has suffered attacks at the hands of some members of the public on its independence and ability to deliver. He said some people have even wondered if the judiciary can deliver its mandate as an arbiter and as a defender, and protector of individual rights and freedoms. The President was speaking on Saturday at a Law Association of Zambia (LAZ) gala dinner. “It is the hope of my Government that the change we have started to institute within the judiciary and the recommendations that will come out of the ongoing legal and judicial reforms will galvanise positive action and change in the judiciary. “On Monday, Cabinet will sit and look on the review of the Judicial Service Commission,” Mr Lungu said. He said history can show his personal record on the constitution of how he released the draft constitution within weeks from the shelves it was kept when he was appointed Minister of Justice. Mr Lungu also urged the law practitioners to guide the nation in the process of enacting a new constitution and not to leave it to civil society organisations. Mr Lungu said the process of enacting a constitution should not be for the elite alone. “This is not a project by a privileged few or people who think are the messiah of this country but it is for the nation,” Mr Lungu said. He, however, cautioned on the cost of delivering a new constitu-tion, which he said should be measured against the pressing need to address poverty in some parts of the country. 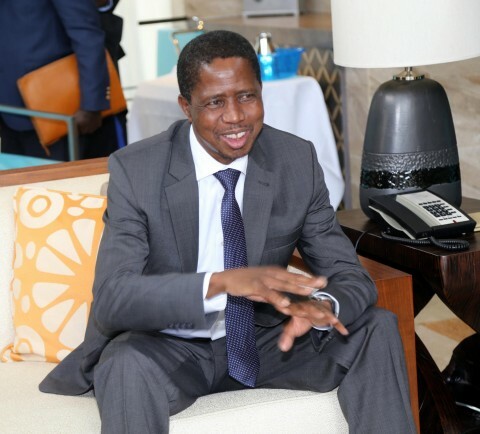 “Whatever we do, let us act responsibly and ensure that we do not recommend methods of adopting the constitution that are not conscious of the reality,” Mr Lungu said. LAZ president George Chisanga pledged the association’s support to the government to help with the constitution-making process and to amend the Public Order Act and the NGO Act. He said the 2015 LAZ annual general meeting came up with recommendations on the three, which it will share with Government, including the judicial review process. Mr Chisanga called for enhanced access to justice to avoid interfering with the independence of the judiciary. Lusaka lawyer Vincent Malambo, who gave a vote of thanks, congratulated Mr Lungu on his election victory. “We are delighted as LAZ because apart from being our member, your election has breathed fresh air because you are a youthful President,” Mr Malambo said. He said LAZ will co-operate with the government on the constitution review and the judicial review processes. Mr Malambo, a former minister of Legal Affairs, is confident that President Lungu will lead Zambia to prosperity.